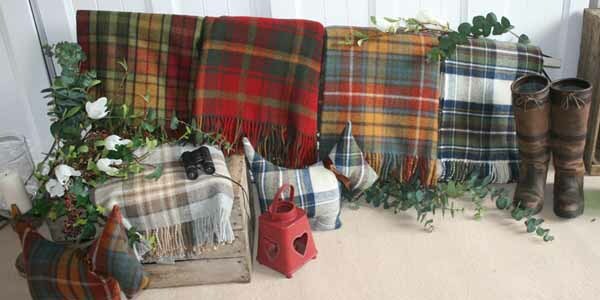 These tartan throws are so versatile and hard wearing. Used as a wool throw draped over your sofa beside your Totally Tartan tartan cushions of course, or as picnic rugs on a summers day. Either way these tartan throws are a must and a great way of bringing you a touch of Scotland. The 100% wool throw measures 137cm x 183cm and has a rolled fringed effect at two ends.